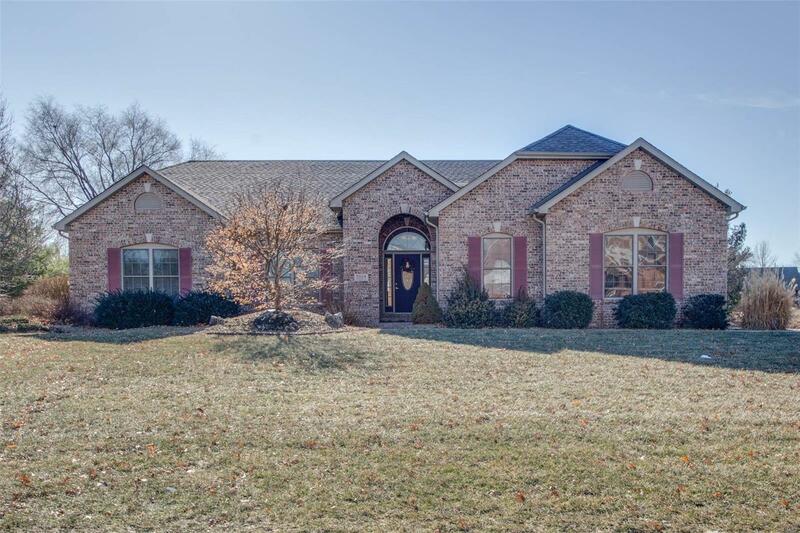 Exceptional custom built brick ranch overlooking the 9th hole at Fox Creek Golf Course. This three bedroom, three bath home has hardwood flooring, carpeting, ceramic tile and plenty of natural light flow throughout its open, airy layout. With generous living space and stylish finishes, you'll enjoy a perfect setting for relaxing and entertaining. An outstanding kitchen includes quartz countertops, a large island, pantry, flat top range & separate ovens. The master bath has double shower and jetted tub with oversized walk-in closet. Other features include two bonus rooms/bedrooms in finished basement and plenty of room for storage or additional finished space, wood burning fireplace, Anderson windows, main floor laundry, oversized side entry three car garage and sprinkler system.